Family home with potential! This 3 bed detached home is situated in a popular cul-de-sac close by to the Primary School, doctor's surgery, library and convenience store. It has been well-loved by the current owners but would now benefit from some cosmetic updating which would give you the ideal opportunity to create your perfect home! 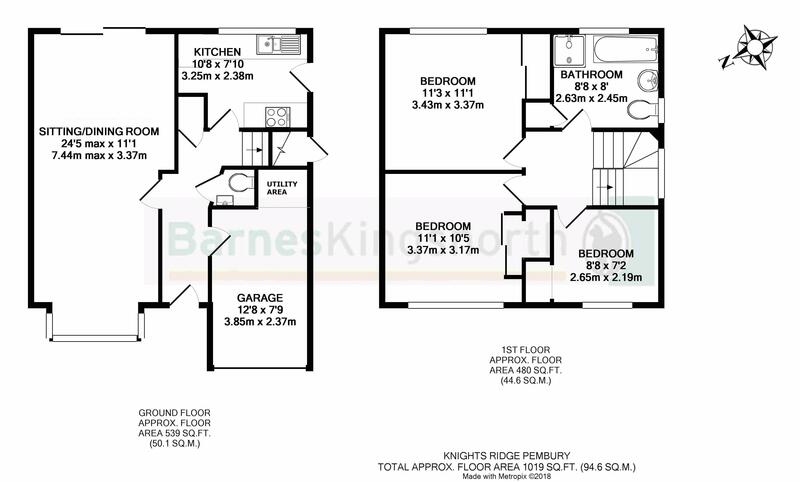 The accommodation comprises: Entrance hall, double aspect sitting/dining room with doors to the garden, kitchen, cloakroom w/c, family bathroom and 3 bedrooms, 2 doubles and 1 single. There is a long driveway at the front for several cars as well as an integral garage. To the rear is a fully enclosed garden with mature shrubs, patio and steps up to a lawn. No onward chain! In accordance with the recent changes to Money Laundering Regulations, we are now required, by law, to comply with customer due diligence and take a copy of proof of id for all purchasers before a sale can be formally agreed. We will require one form of identification with your photograph (passport or driving licence) and one with your name and proof of address (utility bill) for each purchaser.